Geneva – Bahrain’s refusal to allow Al-Jazeera network staff to cover the 37th Summit of the Gulf Cooperation Council (GCC), which opened Tuesday in Manama, is part of a five-year pattern of repression, warns the Geneva-based Euro-Mediterranean Human Rights Monitor. 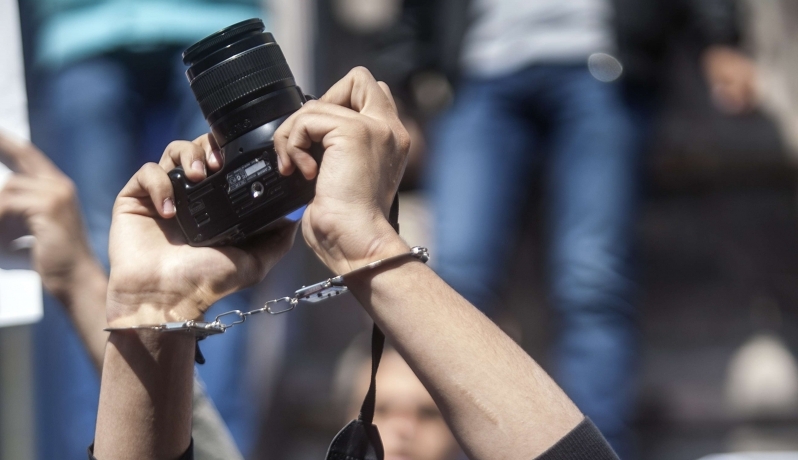 Journalists who hold views opposing the government, particularly those accused of participating in or documenting protests, have been threatened, arrested, forcibly disappeared and even tortured. As a result, Bahrain was ranked 142nd out of 180 countries included in the 2016 World Press Freedom Index issued by Reporters Without Borders. This is not the first time that the Bahraini government has prevented Al-Jazeera journalists from covering events in the country. Previously, Al-Jazeera correspondents were prevented from attending the 30th GCC Summit, although the network presented the required documents to the concerned authorities. Article 19 of the Universal Declaration of Human Rights stipulates that the basic right to freedom of opinion and expression includes freedom to “seek, receive and impart information and ideas through any media and regardless of frontiers.” Article 19 of the International Covenant on Civil and Political Rights, which Bahrain agreed to in 2006, states the same. Euro-Med Monitor calls on the Bahraini authorities to respect and comply with the dictates of its international commitments by facilitating the work of journalists, and by assuring an environment that allows them to perform their duties without restrictions. The government of Bahrain should also release detainees imprisoned for practicing freedom of expression, with fair compensation for their suffering.